There are two reasons why I want to share this recipe with you. 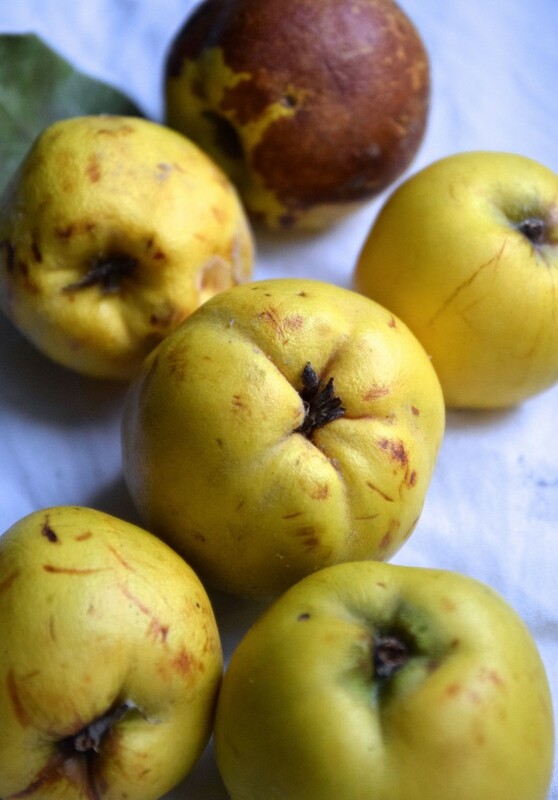 The thing is: I eat quinces almost every day since their season started. For someone who writes her PhD thesis about food, who writes a food blog and develops various recipes, for someone who spends almost the whole free time cooking, who enjoys photographing, growing and sharing food with others, some people would say that when it comes to breakfast- I am very boring. Well, it depends how you see it. 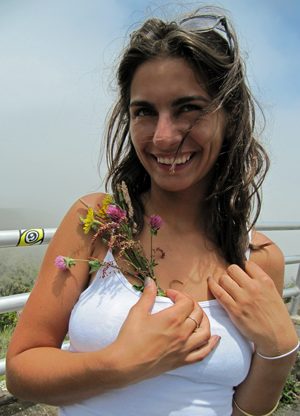 I love to make researches not only about food but also with food. When I have found a good basis for a meal, I spend many days (or months) consuming this same meal, only refreshing it with various toppings and add-ons. Staying in this process I can truly discover a full potential of a specific food or food combination. After a while of practicing an intentional eating my body and mind can clearly feel the difference between lentils and rice, beans and chickpeas, parsley and sage. Then I register their characteristics in detail and with this knowledge I create further recipes that are not only nourishing but also very tasty. This is what I call a individual, conscious eating. It is a never ending process of observing. And at the same time, “healthy” eating should never be your main goal- it is (only) one of your most important instruments on the path you’ve chosen for yourself. Because, in the end, we all should be grateful for having so many food options. Having the same breakfast for a month?! No, it is not boring. Remember: MAGIC HAPPENS THROUGH REPETITION! *This porridge is really everything you need during cold and grey days. For the basis I combined millet and oat flakes, but feel free to adapt it to your taste. 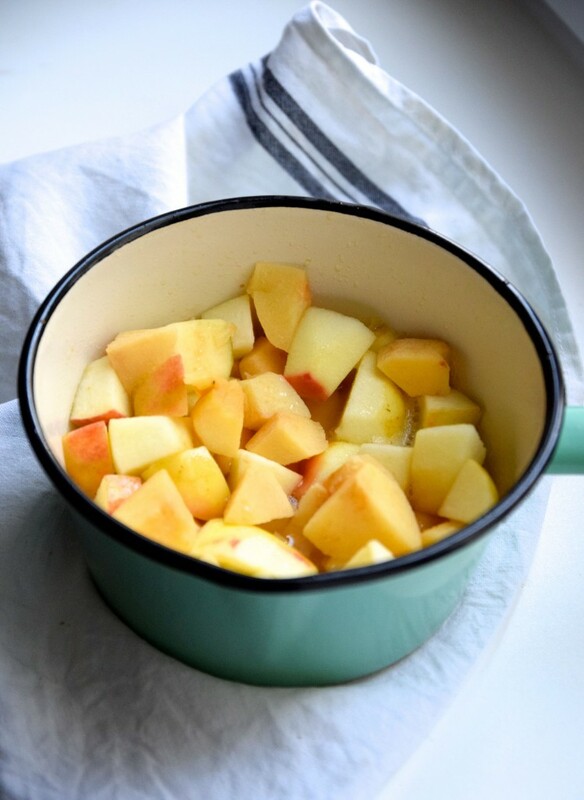 Warm quinces and apples combined with pinch of cinnamon provide wonderful freshness. Nutty taste comes from almond butter to which I’m addicted lately, but you definitely can skip it and add some nut milk or few roasted almonds or hazelnuts. Spicy aroma comes from freshly grated curcuma. At the end I made everything a little bit more juicy with pomegranate seeds. 1. Prepare the vegetables. Wash apples and quinces, peel them and chop into 2 cm cubes. In a smaller pot melt the ghee, add quinces and cook for 1 min. Add 1 dl water and stew the fruits for around 10 min. or until firm to the bite. Add more water if necessary. 2. 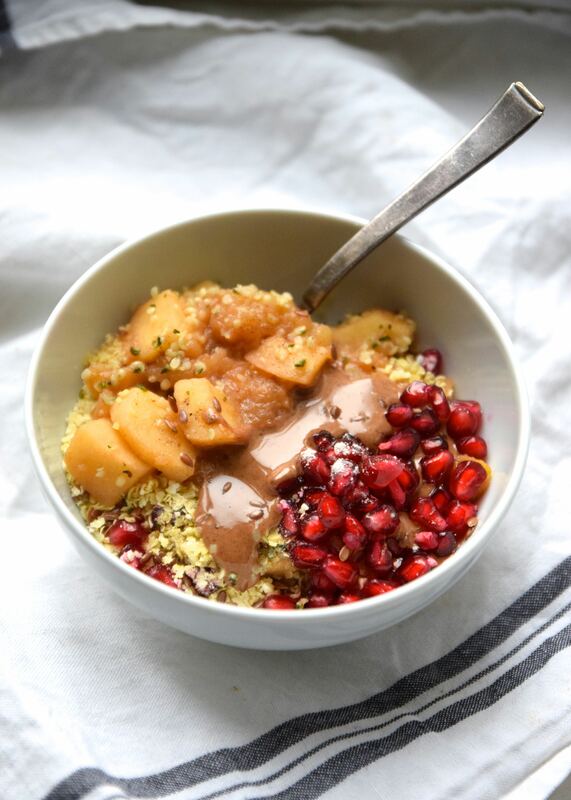 Add apple cubes, salt, honey, cinnamon and curcuma and stew for another 5 minutes. Add more water, if necessary. 3. Put one half of the fruits in the blender and blend until smooth, or purée it, using a hand blender. If you use it, mix in some nut milk of your choice. 4. 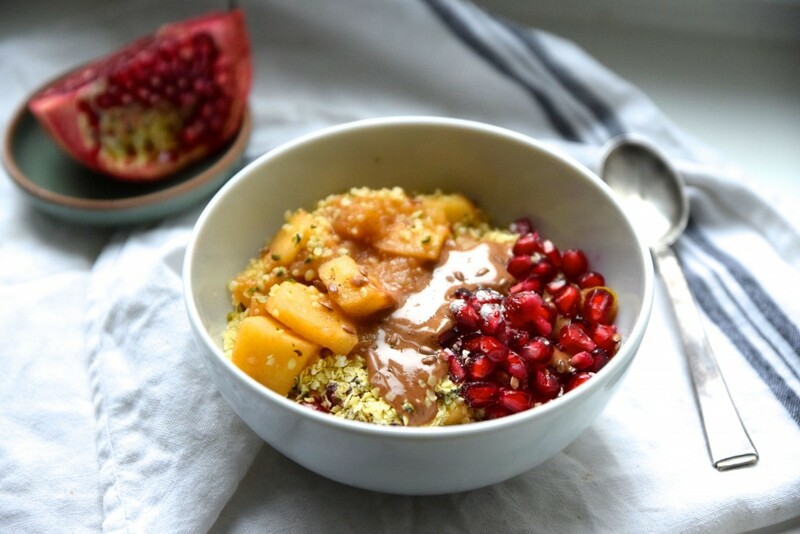 In a a medium sized pot combine oats, millet flakes and fruits puree and cook for another 3 minutes, over the low heat. If the porridge is too sticky add some more nut milk, or water. Remove from the heat and cover with the remaining fruit cubes. Serve with the suggested topping or with your favorite one. 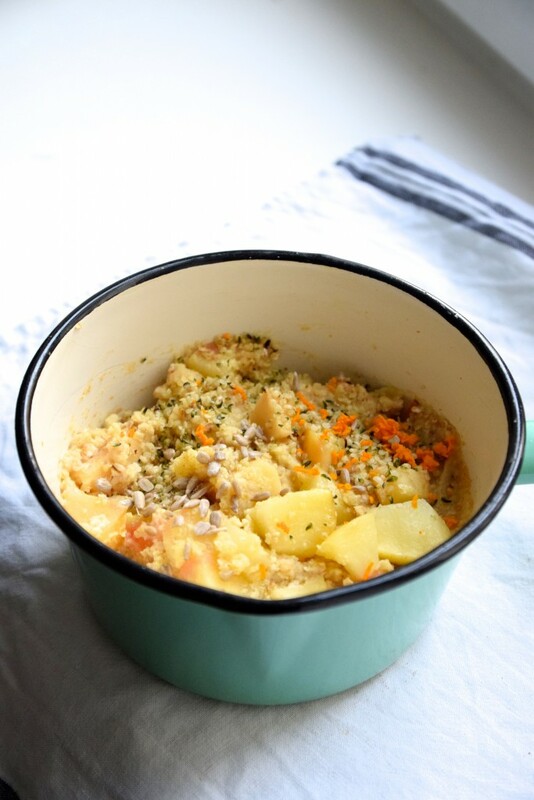 This entry was posted in Common, Recipes and tagged Breakfast, dorucak, healthyfood, healthyfoodrecipe, kasa, poridz, porridge, vegan, vegetarianfood, vegeterijanskakuhija, zdravahrana. Bookmark the permalink.